Xited was contracted to develop a new online presence for BERA. Working in partnership with Dial Solutions, the website is built in Drupal to support collaborative activity by members, provide links to publications and promote BERA's events programme. 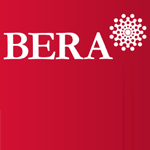 The website was handed over in 2012, following training for BERA administrators.